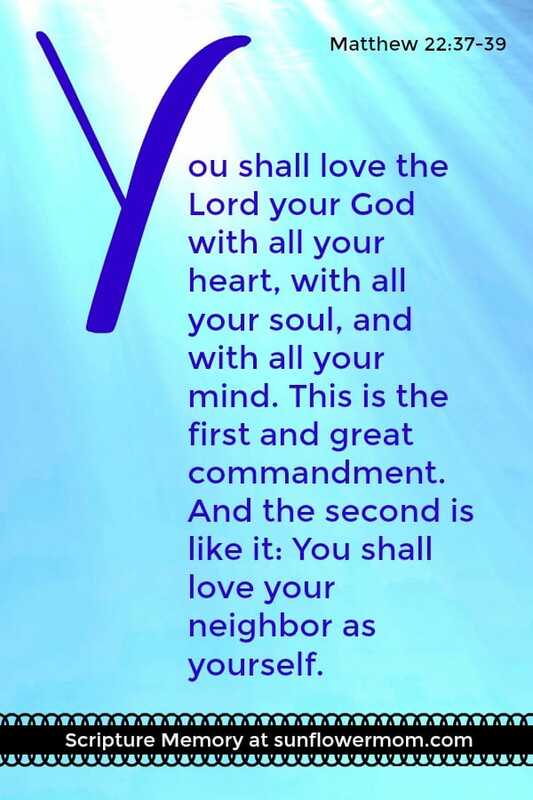 The child’s memory verse for the letter Y is from Matthew 22:37-39. It is a long one this time, but we are almost at the end so I hope your children have it in them! This might be easier for your kiddos. This should come easily to them if you are following the whole series because we learned a very similar verse with the “L” verse of Mark 12:30. You can get the printable below from the resource library. Hang it close by wherever you and your children are practicing your Bible verse each day. We are back to a kid-friendly video to aid in memorization this week! Your kids should like this one and it should help them learn it pretty quickly. If you’re up to it, here’s an easy lesson you can do with your kids to reinforce the meaning of the bible verse. Plus they can drink kool-aid afterward! I always preferred to work on this memorization in the evenings as part of their bedtime routine. The video above does a good job explaining the meaning to children as well so it’s not necessary. The whole series can be found here. For each letter of the alphabet, we are learning a new verse with a free printable, and a YouTube video to enhance learning. It’s a nice bedtime routine and easy – my kids learned these 26 verses using this technique. 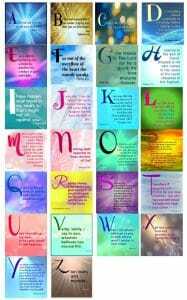 Just want all 26 Bible Verse printables? Enter the resource library.